Water is an essential element in our lives and we all need clean & germs-free water for a healthy life. Dubai lacks natural resources of water & rely mainly on water treatment plants and companies to provide clean drinking water to the residents and tourists. These water treatment companies in Dubai have been providing a range of services related to water treatment. We have discussed below best water treatment companies operating in Dubai and providing range of water cleaning services in Dubai. In 2010, Stalwart Solutions LLC has initiated operations and they provide specialized services such as Tank Repair, Water Tank Cleaning, Pest Management Consultancy, Pest Control Services, Mould/Fungus Remediation, Space Treatment within Aircrafts, Disinfection and Fumigation, Water Quality Management and Lake/Pond Management. They have a widespread network of clients in the United Arab Emirates and they provide them with efficient services, ensuring maximum satisfaction of their customers while maintaining costs. All the service technicians are educated and certified and completely trained to provide the best services according to the requirements of the clients. 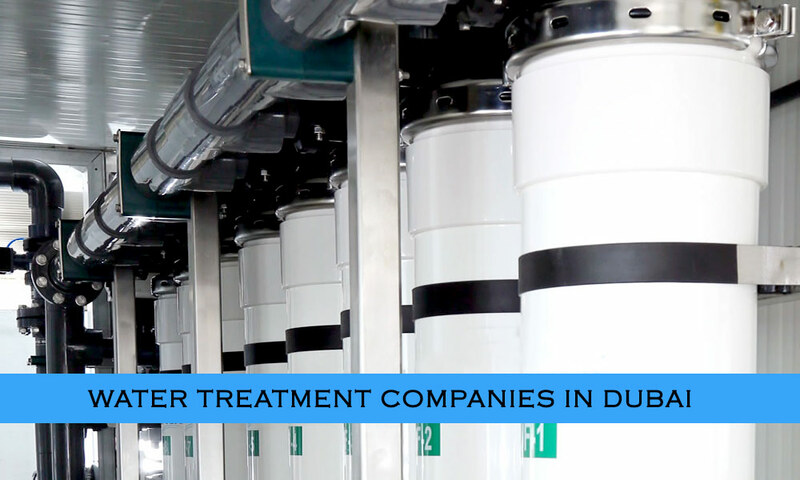 Their professional staff and range of services has made them one of the best water treatment companies in Dubai. Advanced Watertek is a foremost manufacturer of Reverse Osmosis Water Treatment and other membrane based water treatment solutions. In 1984, Advanced Watertek was established and is an Australian company with a manufacturing facility in Dubai. It is one of the leading Swimming Pool construction company in UAE by using the latest equipment and technology. According to the requirements of the clients, they make reliable swimming pools of the highest quality. Engineers and other technical staff of Ahli Pools Gardens Landscaping are highly experienced and well trained to serve the best to their clients and to fulfill their requirements. Their service includes Fountains, Irrigation, Swimming Pools, Landscaping, and all plumbing and electro-mechanical works. Yearly maintenance of swimming pools, fountains and landscaping is also done, which includes adding require chemicals for water treatment, testing of the pool and maintaining all the other equipments. They can construct both commercial as well as residential pools and keeps a high standard by giving away best quality products for service. Mangrove Agriculture offers services like, Irrigation, Garden design, landscaping and Planting services like turf garden design work and artificial Grass, Supply and installation of interlock paving works in UAE, Palm and Trees, Traditional Emirati and Saudi Desert Trees, Growers and Suppliers of international wholesale nurseries with a huge variety of plants based in Dubai. Various international manufacturers in the Middle East are represented by the Green Coast Trading LLC which is the trading arm of the Green Coast Enterprises Group in the Middle East. Eco-friendly products and latest innovations are included with the product portfolio of this company. It is headquartered in Nad Al Hamar, Dubai and operates in Al Khabeisi, Deira, Dubai. Water and energy conservation products catering to the Education, aviation and healthcare sectors are what they focus most on. Partnership with international business entities is what they constantly seek for who can promote their products in the Middle East market. In 2009, Britannic Trading LLC was established in Dubai and it is a UAE based company for Water Treatment Systems. Britannic Trading LLC has many branches in Oman, Qatar, India and Bahrain. It has been the sole of distributor in UAE for Korean products since 2009 and its main aim is to be the company which would stay at your service for years with full satisfaction to its clients and fulfilling their requirements completely. And based on this philosophy, they have vowed to deliver clean water with the sophisticated technology to the whole world and you will notice an improved occupation for your entire family. A high quality reputation is established by Brittanic Trading LLC and also the goodwill among its customers through high service. The experience and expertise of Britannic Tradding LLC has made them one of the recommended water treatment companies in Dubai. Address: International City, P.O Box No 309008, Dubai, United Arab Emirates. These are some of the known and recommended water treatment companies in Dubai. You can contact them for all your water purification & treatment needs. If you want to recommend a water treatment company in Dubai, please do so by adding comments below.